When data is about multiple people, they might not all agree with how that data should be used. Sometimes people might feel comfortable with someone else transferring data about them. In other situations, people might want to limit the types of data about them that can be moved, or the purpose of its use. 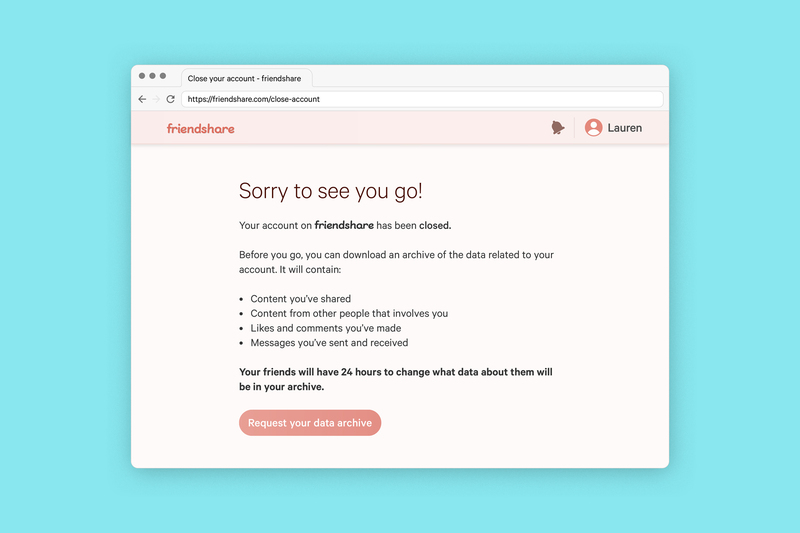 When leaving FriendShare, you can request an archive of all the content and interactions from your time using the service. 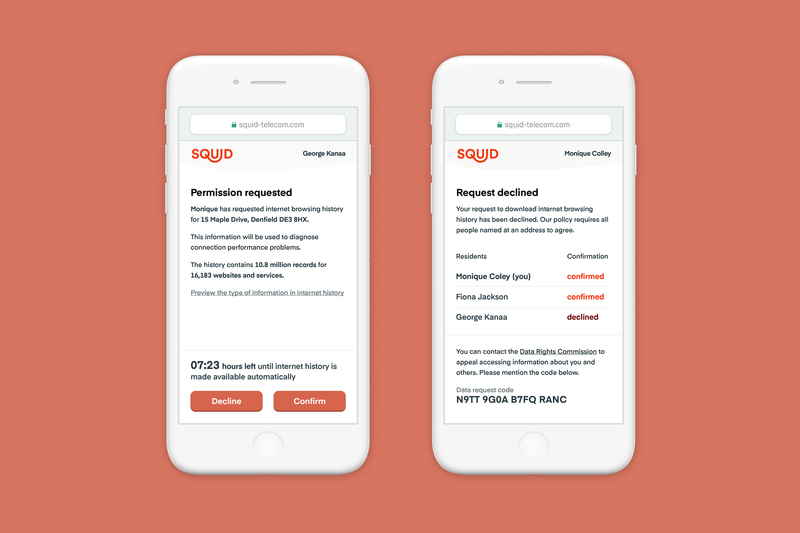 People who have data about them in the requested archive will receive a notification. They can choose what information about them will be included in the archive. Squid allows you to download your home’s internet history. 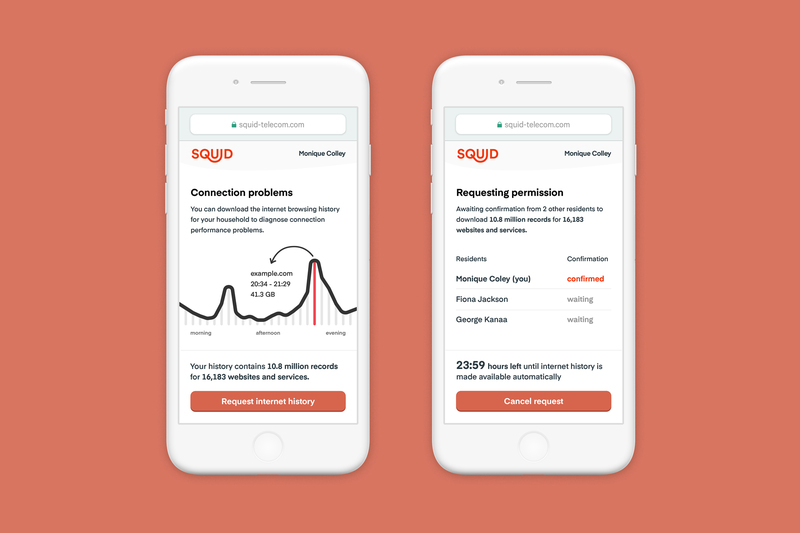 This helps you better understand your internet use, identify reasons for connection issues or see what data we store about you. Internet history is sensitive information and can only be viewed with consent from everyone. It’s our policy that every person registered to your address agrees before this information is made available to use. In the event that there isn’t agreement to view the house internet history, you can appeal using the mediation service. This relies on people knowing that data about them is being transferred, understanding their rights around data portability and having a clear way to exercise these rights. 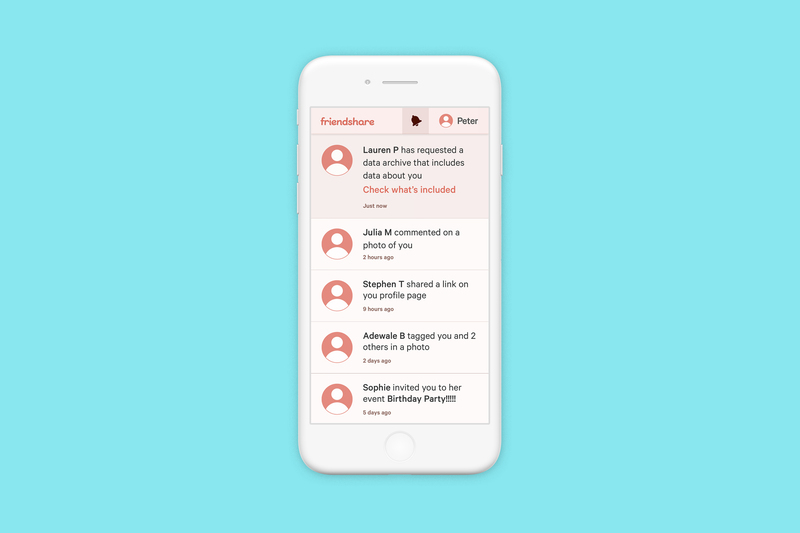 For example, people were very positive about the idea of being alerted to someone else transferring data about them from a social network. However, in reality, this may be impractical. Whether through family shopping lists, photos on social media or voices on smart speakers, data can describe people who have never consciously used a service. How does someone’s right to data portability work in a situation like this, and what is their ability to contest someone else's rights? One person’s right to data portability could compete with another person’s right to delete that same data. For example, housemates might disagree about how their internet browsing history is used. In this example, one person’s right to data portability is in direct competition with another person’s right to privacy.